Dodital Lake (also known as Dhundi Lake) in Uttarakhand is a popular trekking destination as it is located at an altitude of almost 10,000 ft. 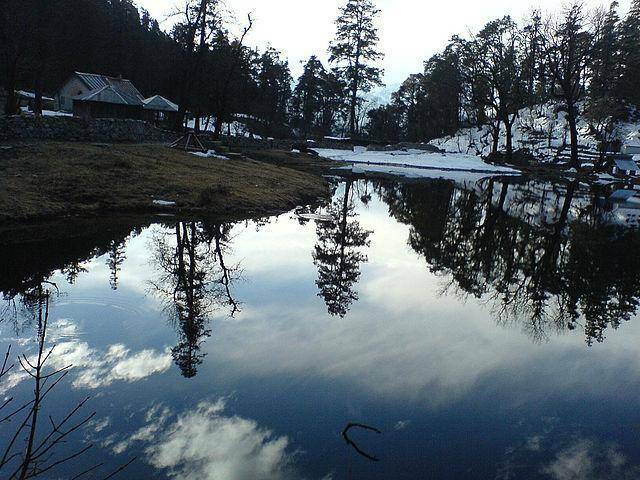 This freshwater lake located at a high altitude is nestled among dense deodar trees, surrounded by forests rich in vegetation and animal as well as bird life. The trek to Dodital is about 22 kms, beginning from Sangam Chatti in Uttarkashi district. Darwa Top is beyond Dodital, located about 5 kms further. It is a steep, uphill climb but its strategic location at about 13,616 ft above sea level makes for a perfect setting to see the panoramic natural beauty of Garhwal Himalayas.